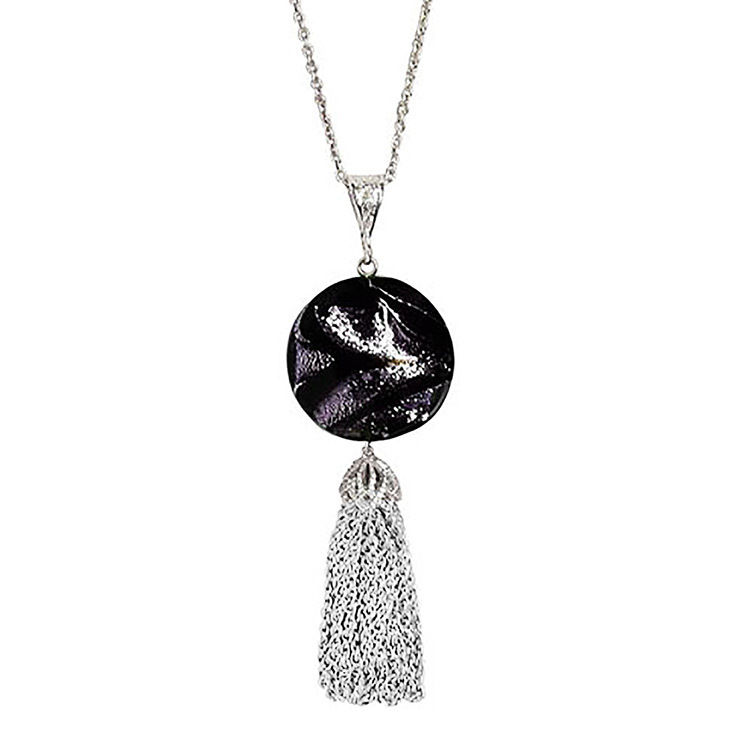 A reflective dichroic lentil pendant with luxurious tassels of sterling silver chain provide the focal for this simple and beautiful necklace. The tassel cap is studded with small crystals and the filigree sterling silver bail adds to the appeal. Chain included.